Dr. Hennessy has been a local Periodontist in Boca Raton for many years. 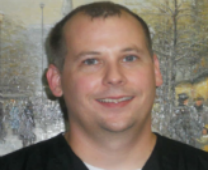 He specializes in the study of Periodontics and dental Implants. Our number one goal is the benefit of our patients, therefore we choose professional and experienced specialists to work in par with our dentists. Dr. Hennessy works together in the same office as our local Boca Raton dentists an provide quality periodontic treatments to our patients. He recieved high quality education at the prestigous and well known New York University school of Dental Medicine. This Periodontal expert was involved in various types of research about the Periodontal and dental Implant studies. A Periodontist is referred to as a dentist who concentrated two extra years of his dental studies specifically on periodontal care. A periodontist specializes in Periodontal Surgery, Extraction, and gum Surgery. A Periodontist focus his research on Periodontal oral health issues. Because Periodontists only deal with patients that require Dental Implants and Periodontal care, they are prepared to deal with any treatment appropriately. Periodontists use their previous education in Periodontal care to provide treatments to patients that experience symptoms of oral diseases require a Periodontal surgery or Periodontal care. As with any type of surgery, the periodontist must remain calm, and professional when performing periodontal surgery or Dental Implants. For more information about Dental Implants, go to our Dental Implants in Boca Raton page. Dr. Hennessy has been a local Periodontist in Boca Raton for years, gaining the appropriate experience to treat any periodontal issue. He participated in various kind of Periodontal and oral health research regarding how Osteoporosis, Bisphosphonates and Systemic Diseases can effect the Oral health. In addition, Dr. Hennessy is experienced in oral sedation, allowing him to treat patients with periodontal issues in a painless manner. Being a local Periodontist in Boca Raton, Dr. Hennessy grow his family, his wife and two kids, in florida. For a periodontal treatment that will be performed professionally by a calm, worming periodontist, get your Dental Implant with Dr. Hennessy.